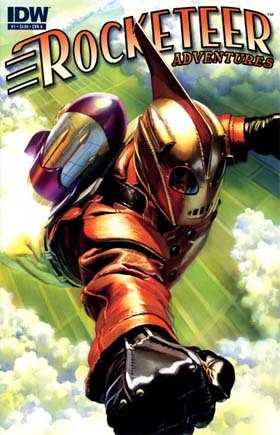 Could I fly like Dan's Steven's Rocketeer? 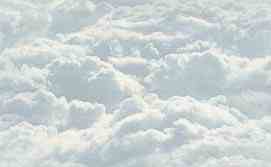 My dream of flying through the air like the Rocketeer was just a fantasy -- until just a few weeks ago. (8/14) Back in an article I wrote in February of 2007 I asked the question "What Ever Happened to the Rocket Belt?" In that piece I lamented that while growing up I'd seen Buck Roger's inspired personal aviation devices featured in movies and science magazines. Everybody seemed to think we would have them by the 21st century, but they never materialized. 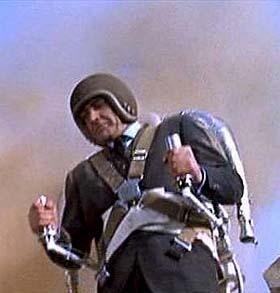 The few jet packs that were actually built and flown back in the 60's were impractical and cost hundreds of thousands dollars. And even with that immense amount of money, they could only give you a flight of about 30 seconds. 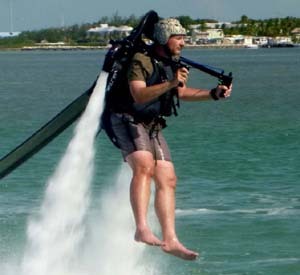 Well, somebody has finally figured out how to build a real jet pack and I've actually flown it. Admittedly it comes with a few restrictions. Still, it actually flies and almost anybody can try it out. Before talking about my experience, let me recap the rocket belt/ jet pack situation up to this point. The idea of flying by strapping a rocket to your back often appears in the pulp stories of the 1920s. Of course, that was just fiction, but after WW II an engineer named Wendell F. Moore of Bell of Aerosystems, working under a government military contract, actually built one that could carry a man. The design was ingenious and test pilots reported that the unit was very stable and easy to fly. The pack carried tanks of hydrogen peroxide. When the hydrogen peroxide was forced through a metal catalyst it would break down into steam and oxygen. The steam took up a lot more space that the original hydrogen peroxide and under pressure came shooting out of two nozzles just behind the shoulders of the pilot. The thrust from these downward facing nozzles lifted pack, and the pilot attached to it, into the air. Control of the device was achieved by two rods that ran forward from the sides of the device to handles that the pilot could grip. By moving these rods up and down the pilot could change the position of the nozzles and giving him control over moving forward or backwards. By pushing one up, and the other down, he could even spin in the air. 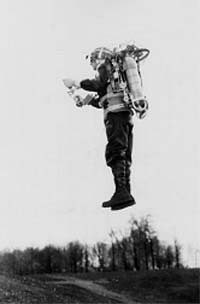 Moores's original rocket pack in testing. The problem with Moore's invention wasn't in controlling it, but with its range. The hydrogen peroxide fuel was exhausted in 21 seconds. This made for some wonderful demonstrations, but few practical applications. Moore later built a similar device using a jet engine for lift, rather than the rockets. Engineers expected that the jet version could fly for a long as thirty minutes, solving the range problem. However, a jet engine is less reliable and requires more maintenance that a rocket. Since a failure of the jet pack at any significant height meant sever injury or death for the pilot, the military soon lost interest. The one jet pack that had been built by Moore wound up as a curiosity in a museum. People built a few rocket packs, but these were only used for publicity stunts, or short appearances in movies or TV shows. A few years ago, however, Raymond Li, a Chinese-born Canadian from St. John's Newfoundland read about Moore's work and became interested in the idea of a jet pack. In 2000 he sketched his idea for getting around the range problem onto a simple "post it" sheet. The difficulty with the rocket pack to this point was that you couldn't carry enough propellant on it to sustain a long flight. Suppose, however, you sent the propellant up to the pack through a long hose? The pack would be limited to the height that the hose could reach, but your flight could be as long as you wanted. Li's idea evolved into a jet pack that used water instead of hydrogen peroxide. Instead of creating the necessary force by converting the hydrogen peroxide to steam, a ground based pump powered by a diesel engine provided the pressure. This would mean that the jet pack would be a lot cheaper to operate and pilots would not have to worry about being burned by the steam shot from the jet pack's nozzles as the nozzles would be expelling cool water. Although Li at first considered the military as a primary customer, the fact that the device worked so well over water (with the pump and engine trailing behind the pack on a float) made it a natural contender as a recreational watercraft. It took him until 2011 to perfect a prototype and get it into production with the help of National Research Council of Canada. The device was marketed as the JETLEV R200 and cost over $100,000. A recent upgrade, the R200x now retails at $69,000. I first became aware of Li's work earlier this year when I saw it appear in the media in several places including a segment of the popular TV show "Hawaii Five-0." During a expedition to the Florida Keys this spring I got the chance to try it out for myself though a company called Tikijet located in Islamorada. The owner of Tikijet, Jason, took my wife and I out on his pontoon boat about a � mile off the coast in water that was around 10 foot deep. Once we were anchored in a zone reserved for jet pack flights, he gave me a run down on the operation and on control of the device. The pack's controls are set up almost identically as those of Moore's rocket belt. You hold your arms out in front of you gripping handles on two control rods. Each rod is directly connected to the nozzle behind your shoulder. Pushing the rod upwards aims the nozzle a little forward giving causing you to drift backwards. Pushing the rod downwards caused the nozzle to point slightly backwards giving you forward movement. The controls were fairly sensitive and required subtle movements (For example, pulling up radically on the controls could cause you to do a dangerous backflip). Turns could be made by moving forward and then pulling up slightly on one rod and down on the other. Because the controls were so sensitive, however, Jason recommended turning instead by shifting your body weight to one side, or the other, which achieved the same result. After being carefully strapped into the jet belt I jumped into the water being careful to clear of the edge of the boat so that the pack didn't get caught on the gunnel. Jason requires pilots to wear a life vest so I quickly popped to the surface. The only surprise was that since the jet pack also floats you have a tendency to find you face underwater unless you actively tread water to counteract the buoyancy of the pack. This brings us to an important point. One of the requirements, I believe, for a successful flight, is that the pilot needs to be extremely comfortable in, around and under the water. Someone who is nervous about being dunked may be too distracted to successfully operate the pack. If not the Rockteer, perhaps I could be James Bond. The helmet was similar. For my first flight Jason equipped me with a helmet with a radio receiver in it (Unfortunately the helmet wasn't brass colored with a fin down the center like the Rocketeer's). The radio allows him to give pilots step-by-step instructions as they learn to fly. On this initial flight he also controlled the throttle (which varies the amount of water being shot out the nozzles and therefore the lift) remotely from the boat. This was helpful as it gave me one less thing to worry about. On later flights pilots can control the throttle by turning the right-hand grip, in the same manner the throttle is worked on a motorcycle. Each flight starts with the pilot keeping the control handles just out of the water as Jason increases the throttle settings. I found myself first moving forward through the water chest deep, then flying with half my body still in the water, and finally out of the water completely. The engine and pump, in a float the looks like a small orange boat, trailed behind me connected by a 33 foot long hose. This allowed me a maximum height of about 30 feet when I was hovering. Generally the pack is most stable, however, when you are moving forward as the drag of the float help steady you, so you are usually flying at a lower altitude, perhaps 10 to 20 feet. The sensation of flying the jet pack was exhilarating and unlike almost anything else I've ever done. I've ridden a number of zip-lines, which are in some ways similar in that you are hanging suspended high in the air. However, a zip-line ride lasts, at best, 15 or 20 seconds. I was up flying the jet back for over thirty minutes (barring a couple of accidental falls into the water). Even more importantly, you have no control on a zip-line about where you are going. 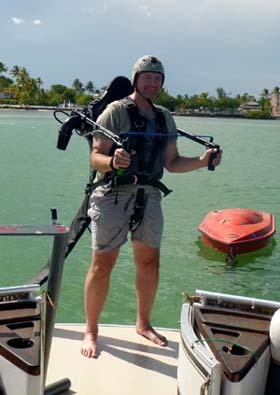 With the jet pack I had complete control over where I could fly it with the limitations that I couldn't leave the immediate area or get too close to the boat (You don't want your hose to get entangled with the vessel. Falling from 30 feet into the water is no big deal. Falling onto the boat from 30 feet would hurt a lot). From the pilot's perspective it was easy to forget you were attached to the float/pump by a 30 foot hose as it is always trailing behind you. With that out of view it doesn't take much effort to believe you are flying around just like James Bond in the 1965's Thunderball. In fact, Jason recommended humming the Bond theme as I flew along circling his boat. My biggest crash into the sea occurred when Jason asked me to signal that everything was okay by waving my hand. Attached to the pilot's right wrist is a strap that is connected to an emergency stop switch on the pack's control arm. Move your arm too far from the grip and the connection is broken, turning the engine/pump in the float behind you off. Forgetting that this was attached to my wrist I lifted my right hand and waved, with the predictable results. From the laughter on board the boat from Jason and my wife, I suspect that the suggestion that I wave, without reminding me to use my left hand, was intentional. In his promotional materials Jason claims that most people can learn to fly the pack in three to five minutes and I have to admit that this was my experience. The limiting factor for how long you can fly (the float can hold about 3 hours of fuel) is mainly the comfort of the bicycle style seat the carries most of your weight. According to the JETLEV company website, there is an option on some models to include a bar they goes below the pilot's feet so that he can stand and relieve some of the pressure from the bicycle seat, but the unit I flew didn't have this option. There are lot of tricks you can try with the jet pack, though with my first flight I tried to concentrate on getting and maintaining complete control over the device and not crashing into the sea. Jason did talk me into trying "walking on water" a maneuver where you skim the sea and move your legs as if you are running on the sea. Another trick that you do is to allow the pack to act as an engine to propel you underwater like a submarine. This is a maneuver, of course, that would be impossible to do with a traditional rocket pack. I was so confident with flying after about 30 minutes in the air I let Jason talk me into trying a spin. In this maneuver you hover for a moment, then for a second push one control run all the way up, and the other all the way down causing you to quickly pivot around. Though it took me two tries to perfect this trick I was successfully able to spin in place without getting dunked. 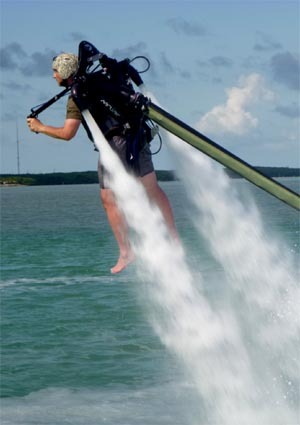 Because you are over water landing the jet pack is a cinch (Something that is a harder with a regular rocket belt. In fact, Moore broke his knee cap in a bad landing with the original pack). The throttle was slowly reduced as I pushed a bit down on the control arms. I and the pack then dropped gently into the water. By turning the release buckle on my chest I could pull away from the pack leaving it to float by itself. Jason then simply pulled the pack back on the boat, while I swam to the ladder on the aft and pulled myself aboard. The flight wasn't cheap. $180 got me an experience that lasted almost an hour and a half with a 40 minute flight time. Still, it's that type thing few people get to do and is the chance to accomplish something usually reserved for the hero in Science Fiction fantasies. It's also gives you the ultimate response to the question: "What did you do on your summer vacation?" Copyright Lee Krystek 2014. All Rights Reserved. Did Whitehead Beat the Wright Brothers?